I am so blessed to connect with and have such beautiful conversations with amazing souls around the world. I never know what will unfold in my conversations and I love that. 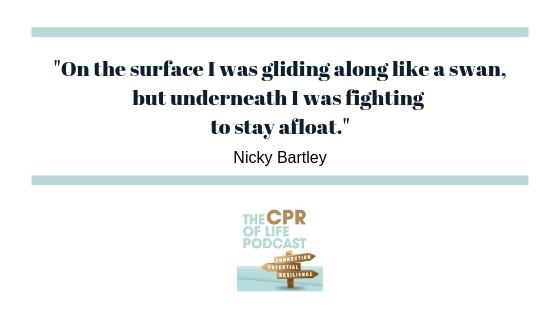 In my conversation with rebel girl and transformation coach Nicky Bartley, we talk about her journey from suicidal ideation to living a beautiful life. When we peel back the layers of the inner critic the beauty of life unfolds. When we are feeling off track or off-kilter there is information in that, as Nicky says, your feelings are like a personal alert system. I heard a great metaphor by Dr. Bill Pettit, he referred to our feelings as a personal bio-feedback system. Feelings are not to be avoided, changed, managed, etc. Feelings are a barometer to the quality of your thinking. Nothing more, nothing less. How powerful is that! A beautiful life is really simple, even when it’s complicated. The simplicity lies in understanding that life ebbs and flows, thoughts, feelings, experiences of life change moment to moment. There is nothing you need to do but be in the moment. I’m grateful to know Nicky. She has a special gift and the work she does has an incredible ripple effect. I hope you enjoy this conversation. This month I’m travelling the world vicariously with my guests. Today I am jet setting to Isreal to chat with author, coach and speaker Chana Studley. Chana and I met on a course on Mind, Brain and Body (fabulous course by the way). 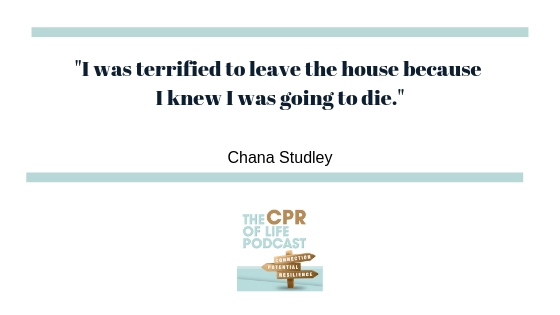 She survived three separate vicious attacks (rather mindblowing to think about the odds) which led to a period of time suffered debilitating PTSD and severe anxiety, in this episode, we talk about her journey to wellness. The fascinating connection between the mind and body. The connection between mind, brain and body is fascinating AND life changing. By gaining an understanding of the mind and how we operate as humans we discover a way to tap into our wellbeing from an emotional and physical healing perspective. I hope you enjoy this conversation. It’s a deep one filled with many nuggets of wisdom. Happy Friday you beautiful souls. Until next time: Be well. Be inspired. Be You. Have you ever wanted to take a deep dive into the brain of a young adult? To understand what the world looks like for them? Not what we THINK it should look like, but what is it really like? I’m always fascinated to chat with the younger generation (ha, that makes me feel so old). 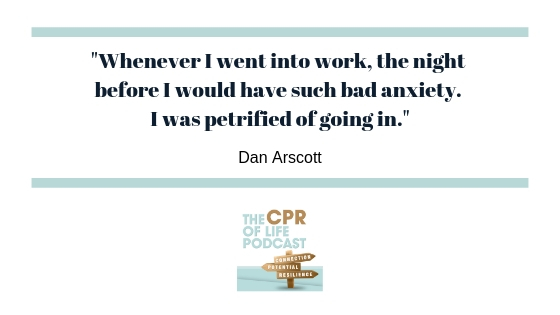 I’m thrilled to share a conversation between myself and twenty-year-old Dan Arscott. Dan is a third-year physics student, currently living in Bordeaux, France. He’s a creative who has a passion for cooking, and also for helping young people embrace their own innate wellbeing. The practical aspects of the laws of physics. This one is for all the adults, teachers, anyone who makes blanket statements about or to young people. (For example, telling children that they aren’t academic, or smart, or athletic, or enough). You have no idea what kind of impact that statement might have on them. I wonder what Dan’s teacher who said he wasn’t really academic would think now? To know he is not only in his third year of physics at University, but it taking his third year in French! Wow!!! I hope you enjoy this conversation. I enjoyed my conversation with Dan immensely. If he is this wise at twenty, I look forward to watching what transpires for Dan. The judgement of self and others is something we all do. What happens when we replace judgement with curiosity? It’s fascinating and getting curious is a wonderful opportunity to dig deep within. The resilience of those who are marginalized and suffering. Thinking, specifically overthinking can be so toxic. It can feel like you are carrying the weight of the world on your shoulders. The power of thought is incredible. The fact that you think is part of being human, learning that you don’t have to engage with those thoughts is life-changing. This is a fun and engaging conversation. I hope you enjoy it. If you have any questions about the three principles please do not hesitate to reach out. I think it’s evident from all my podcast guests who are members of the community that we LOVE to share this understanding. Please keep the emails and feedback coming. I love hearing from you. This conversation is for all the beautiful women who are approaching the perimenopause or menopausal stage of life. 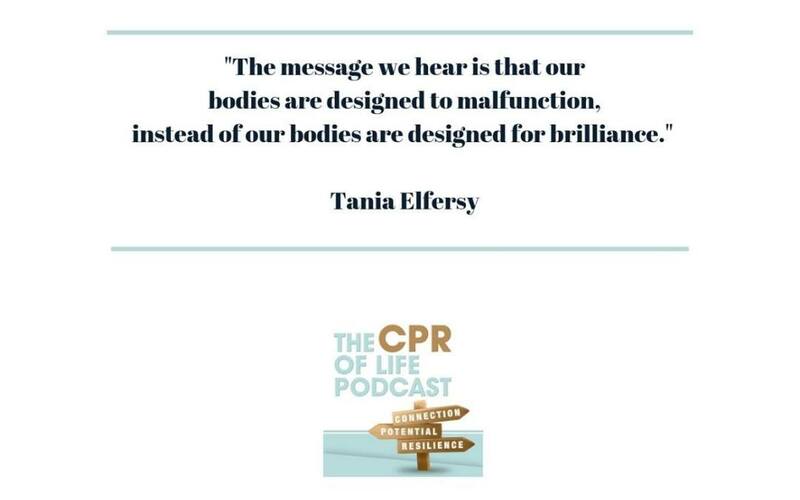 Joining me in this conversation is educator and author Tania Elfersy. She is the beautiful soul behind The Wiser Woman Project. We chat about the journey leading up to and through perimenopause and menopause. The wisdom of our bodies. Your body can only and will only ever act of love and your body is always brilliant. I hope you find some brilliant nuggets in this conversation. It’s the first of many I will be having to raise awareness and make this conversation part of the everyday dialogue. I’d love to hear your questions, comments and feedback. Conflict, we all come across it at some point in our lives. Whether personally or professionally it can ruin us or if we give it the chance, it can have a profound ripple effect of transformation. 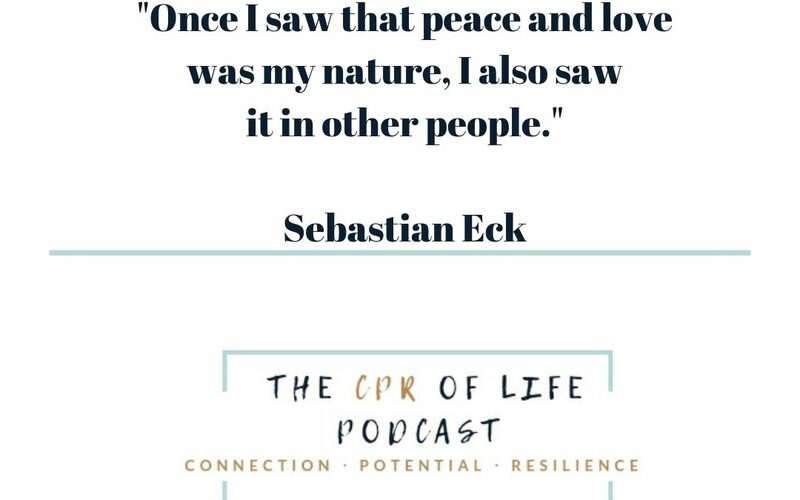 In this episode, I talk with Sebastian Eck about a fresh perspective for resolving conflict. Sebastian is an amazing human being who has a curiosity and passion for resolving conflict and a heart for peace and harmony. What happens when people are not open to resolving conflict. While this was a lighthearted and fun conversation, it was filled with some golden nuggets. Often when we are dealing with personal conflict, it is the ego taking the lead. When we sit back and let our minds settle we give the opportunity for our own wisdom to shine through. There is immense power in meeting people where they are at, not where we think they should be but understanding how they are seeing their world at that moment. I cannot state this enough. When we put aside our own personal thinking and reach out to someone we have strong resistance to, it offers a point of connection. From that connection, new possibilities arise. I really hope you enjoy this conversation. Until next time: Be well. Be inspired. Be You. Hello my beautiful community. I’m happy to be back online after a wee break to do some travelling and training. Last week I travelled to the UK to meet a client in person (amazing!) and to do some training (also amazing). I am a student of life and so enjoy learning, the focus of this training was on uncovering resilience in the next generation – what a fabulous investment. I will be implementing some upcoming workshops based on the training I took. Stay tuned. I’m excited to release a new podcast episode today. Many of the clients I work with come to me because they are struggling with anxiety. It’s a topic near and dear to my heart and I’ve been looking forward to taking a deep dive further into this conversation. 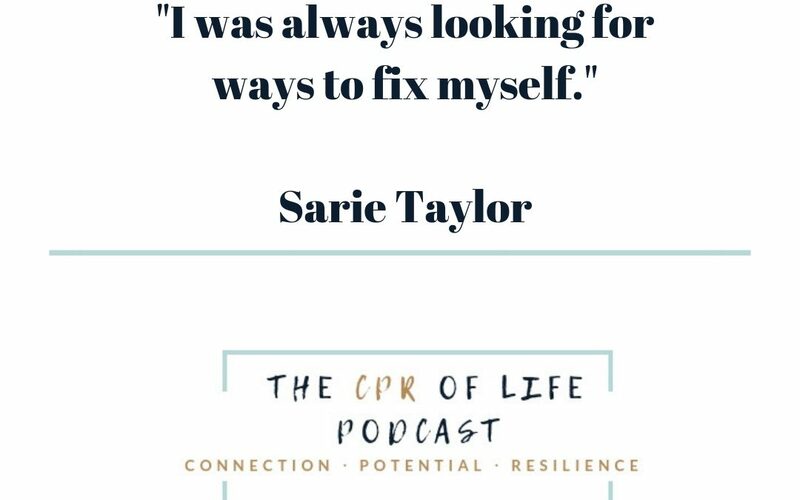 In this episode, I chat with Sarie Taylor. Sarie went through a period of severe anxiety in her twenties and was hospitalized, she then went on to train as a psychotherapist to help her better understand and manage her anxiety. Then she came across the three principles understanding and now works as a coach who specializes in anxiety. The magic that happens when we don’t attach ourselves to labels. We experience much less anxious thinking, life flows better and is much more enjoyable when we don’t engage with the vicious cycle of overthinking. I LOVE connecting with you and reading your emails so please continue to reach out with your comments, questions and feedback. Until next time be well, be inspired, be you. Raising tweens and teens can be the most challenging and also the most rewarding experience we can be part of. I have the pleasure of welcoming Colette Reilley back to talk about playful parenting. Yes, those two words can co-exist. Helping our children embrace who they are and on the flip side, embracing who are children are. Our children are more okay than we may give them credit for, stand back a little, give them boundaries but make sure you also give them room to grow. Parenting is fluid and is about connection and curiosity. 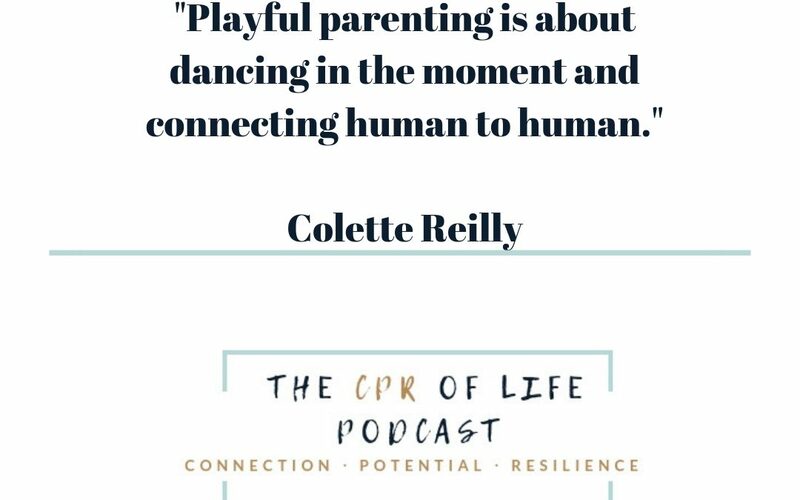 If you are willing to show up and dance in the moment, and connect human to human parenting can be a wonderful thing. Happy Friday! You are in for a treat today. 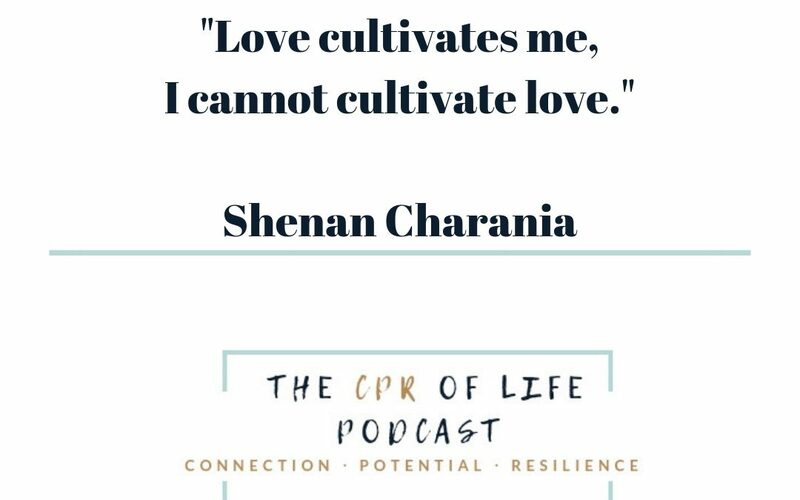 The conversation I have with my guest Shenan Charania in this episode is such a powerful one. The connection, ease and flow were amazing. We talk about the changing relationship with self and others through the ebb and flow of life. Shenan’s life journey is so interesting. Currently, he is a transformative coach who works with inspirational leaders. He has a lovely presence which I think you will hear. Shame and guilt for past behaviours and choices don’t serve you. The most beautiful relationship you will ever be in is the one with yourself. I enjoy reading your emails and appreciate your feedback. I’m sure many of you read “The Secret To A Healthy And Happy Romantic Relationship” and thought yeah right. If that was you (and even if it wasn’t) I hope you take the time to listen to this week’s podcast episode. It’s an inspiring one. 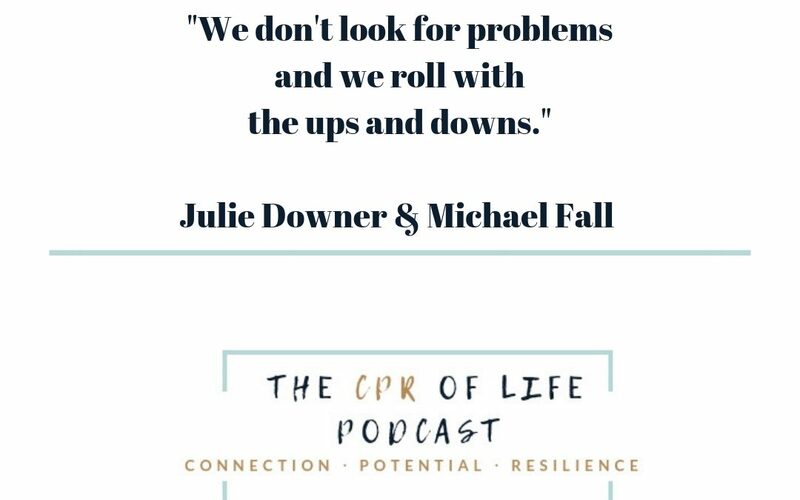 Continuing this months theme of relationships I chat with Julie Downer and Michael Fall about the ease and playfulness of their relationship. They are a blended family with five kids. Michael is a fitness, nutrition and wellness coach and Julie is a nutrition coach and Veterinarian. With Michael and Julie talking about relationships is fun, I’m totally inspired by these two lovely souls. This was a really fun conversation, although I have to admit, at times I felt like I was eavesdropping on their conversation 🙂 Michael and Julie shared with such openness and honesty. I love their wisdom and their presence. Parenting and blending families with grace. 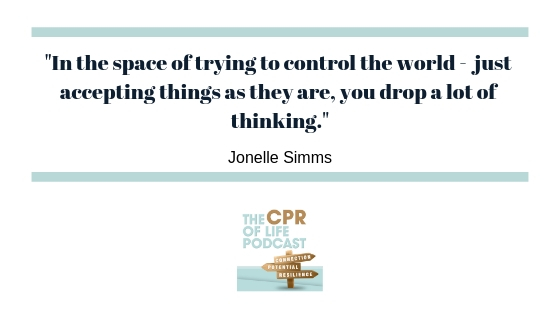 When we let go of needing to control, conceptualize or fix and embrace who we are as an individual within a relationship – it can be fun and effortless. What a beautiful and inspiring thought. I hope you enjoy and please feel free to reach out with any questions or comments. I’m sure Julie and Michael would be happy to circle back.